1. What made you want to book your holiday with Adrenalin Rehab? ​I had previously booked with Snow Rehab. We were unlucky with snow while in Revelstoke but everything else was good. Note: we are cursed and we could go anywhere for two weeks and get no fresh snow! In the past, we have also done kitesurfing beach holidays and I fancied doing something different. We both really like Italy and I wanted to do some mountain biking. 2. What is your best memory of your trip to Lake Garda? ​ It would probably be the second (secret) downhill on a day we took the cable car uplift twice! 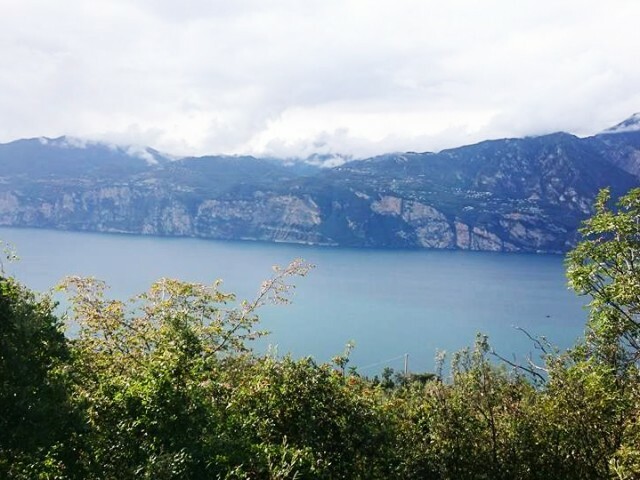 Lake Garda has more rocky, natural (less man made) and steeper terrain. It was not crowded like some more well known, and undoubtedly uglier, locations might be. There was some amazing scenery too. People should go abroad with their bike to ride new and different terrain, especially, since biking is a great way of exploring the local area. 4. What were the benefits of booking with Adrenalin Rehab in comparison to independently booking? The process was very easy with no hassle. There was no chance of missing our connections and Adrenalin Rehab allowed us to fly from our local airport. Gordon from Adrenalin Rehab knows the area really well too. The bike I rented, which was a Mondraker Dune Carbon, was awesome. Exceptional value. I was very happy with it. We really enjoyed the food and drink, the Italian hospitality and the stunning scenery. We really like Italy! Definitely. I don't think the routes are well publicised or known and having a guide means you can enjoy the biking and scenery without having to think about where you are going. Also, I ended up riding terrain that at the beginning of the week I would have walked around. It was very nice to meet Gordon, who was our guide for the trip.